If your 2019 resolutions are already in tatters, head to Singapore and start afresh with Chinese New Year on February 5. Bounce among epic firework displays, flotillas of fire-breathing dragons, candlelit temples, energetic night markets and live concerts. Chinatown Celebrations – join the locals and head to the lively markets to soak up the festive atmosphere. On Chinese New Year’s Eve, there is a big countdown party where local artists perform a medley of festive songs. The Chingay Parade – a heady mixture of dazzling floats, dancing dragons and stilt walkers, Chingay is said to be the largest street performance in Asia. The River Hongbao – see the God of Fortune with the 12 animals of the Chinese Zodiac. With giant lanterns depicting figures of Chinese myth and legend and a myriad of activities, this event is perfect for culture buffs. 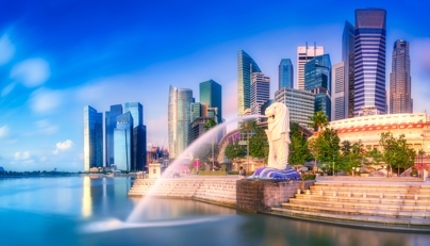 London to Singapore from £469 with Qantas. Although Qantas flies direct from Heathrow to Singapore, this cheaper flight has a quick stopover in Dubai and takes 15 hours. New York to Singapore from US$795 with ANA. This flight has a stopover in Narita and takes 23 hours. 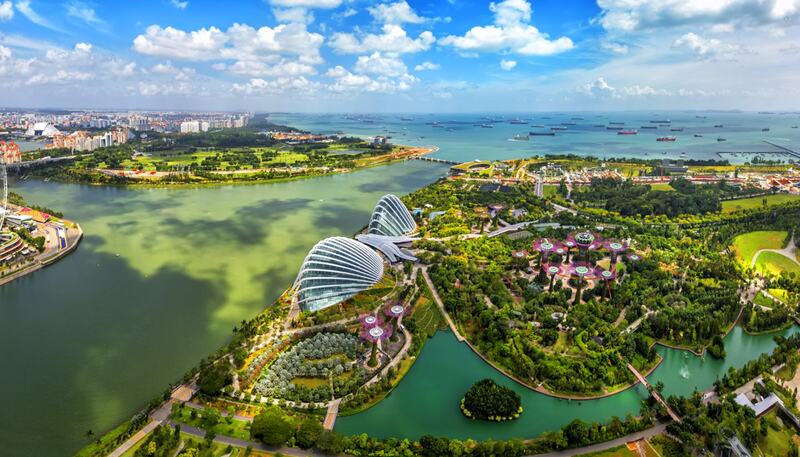 Before you go, see our Singapore travel guide. From February 27 to March 10, sun-bleached Santa Cruz de Tenerife hosts the annual Carnaval de Tenerife festival. Paying homage to the famous Brazilian Carnival Festival, the Tenerife celebrations are every bit as spectacular, offering a range of live bands, colourful processions and endless parties. The event kicks off with a gala where the city selects this year’s Carnival Queen from a group of glamorous contestants dressed in elaborate, heavy costumes – some weighing up to 80 kilos. This is truly a spectacular sight to behold. 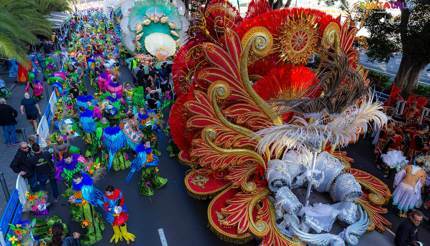 Over the next week, the festival takes over the city in a series of glittery parties and towering parades that capture tourists and locals alike. Apart from Carnaval de Tenerife, Santa Cruz is home to impressive architecture, leafy plazas and a myriad of art galleries and museums. Museo Historico Militar de Canaries (Historical Military Museum of the Canary Islands), Museo de la Naturaleza y el Hombre (Museum of Nature & Man) and Museo de Historia y Antropologia de Tenerife (Museum of the History of Tenerife) are all worthy diversions. As Tenerife is the largest and most populous of the Canary Islands, there are many cheap flights options. Choose the north airport, Los Rodeos, if you’re visiting Santa Cruz. 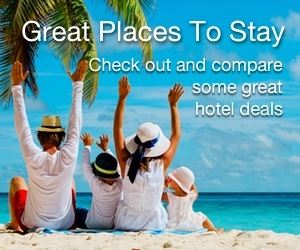 Hop on over to Skyscanner to find the best deals and cheapest flights. Before you go, see our Tenerife travel guide. Most travellers may have heard of the famous Gold Coast and Whitsunday beaches on Australia’s glorious Queensland coast. But if you’re looking to slow the pace and experience the quainter, seaside beaches of Down Under, look no further than Byron Bay, 65km (40 miles) south of Gold Coast. A hippie stronghold in the 1960s and 70s, Byron Bay today pulls in artists, writers, naturalists and anyone who seeks an escape. Even the Hemsworth brothers and Miley Cyrus have a home here. Byron Bay has some of the best waves in Australia, ideal for surfing or trying your hand at body boarding, windsurfing and paragliding. Snorkelers can also explore the offshore wrecks of the SS Wollongbar and the Tassie II. Back on land, visitors can explore the markets, try a local craft beer or take a stroll up to the lighthouse for sunset. Alternatively, take a drive south to visit the Ballina Naval and Maritime Museum and see the La Balsas raft that made the epic journey from Ecuador to Australia in 1973. 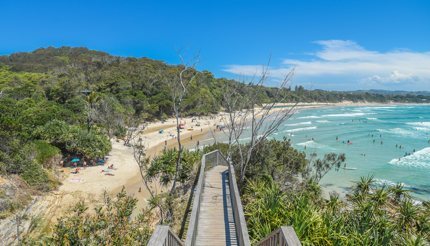 Byron bay is situated in the middle of a cluster of popular beaches, meaning there are a number of ways to reach this gorgeous town. The most popular route is to fly into the Gold Coast Airport and drive 65km (40 miles) south to Byron Bay. You can also fly straight into Byron Bay via Ballina Airport for a similar cost. Alternatively, you can fly to Brisbane Airport and drive 2 hours south to Byron Bay, stopping off at the Sunshine Coast and Gold Coast along the way. Before you go, see the Byron Bay beach guide. Pack your Lycra and get your adrenalin pumping at the BikingMan competition in Oman this February. This epic ‘unsupported ultra-cycling’ race sees riders race 1,050km (652 miles) and tackle a total elevation gain of 7,200m (23,622ft) in 120 hours. Those up for the challenge must decide how much time they want to spend riding, resting and refuelling each day. Needless to say, this race is not for the faint-hearted and many competitors are triathletes and experienced mountain bikers. After the gruelling ride, take some time to explore Muscat, Oman’s capital. Squeezed between the mountains and the sea, Muscat combines old-world charm with the glamour of a new Arabian city. Explore fascinating museums, royal palaces and lively markets to cap off a truly magical experience. Muscat International Airport is the country’s principal international gateway and served by major airlines including British Airways, Emirates, Etihad, KLM, Lufthansa, Oman Air, among others. 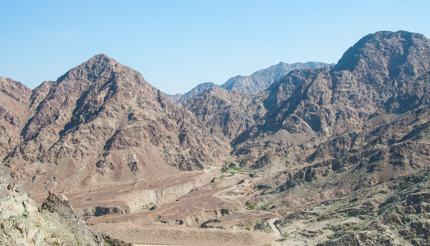 Check out the cheapest flights to Oman on this Skyscanner page. Before you go, see our Oman travel guide.